One of the biggest perks of living in Italy is certainly the food and the wine! These two sure make for a wonderful combo! I wanted to find a wine bar with charm and character just like the ones you find in old Italian towns. Bicerin was love a first sight exactly for this matter! A wonderful selection of wine combined with a modern flair for interior design and architecture are a match made in heaven! You can tell that the owners put the same passion and effort into selecting every single piece of furniture just as they did when it comes to their wine selection. 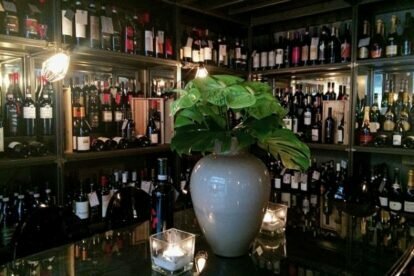 You will find more than 600 wines from all over Italy without forgetting the selection from other countries such as France, Germany or Spain. I personally promise that if you come here you will not be disappointed!